Best Tires For SUV - Top 10 Expert Picks! 1. The Goodyear Ultra Grip option is some of the best snow tires for drivers. These feature a directional tread that keep the slush and snow away from tire’s footprint, which improves handling and traction. For its performance and versatility these are excellent Goodyear SUV tires to buy. 2. Among the best tires for SUV vehicles is the General Grabber HTS. These are excellent in that they perform well on both dry and wet conditions and offer drivers long-term durability. 3. The Pirelli Scorpion ATR is more than just a cool name. These are awesome when it comes to climbing steep hills or driving over snow or ice. Best of all, its wide tread compound can help improve the vehicle’s fuel efficiency. 4. If you plan to drive in tough weather the Bridgestone Dueler H/L Alenza is one of the best tires for SUV drivers to have. This is due to its UNI-T AQII Technology, which handles well on wet roads. Additionally, the design does a good job making contact with the surface thereby improving traction. 5. The Michelin LTX M/S2 is an excellent all-season tire that handles well on a wide variety of road conditions. Best of all, they are durable as Michelin offers a 70,000 mile warranty on them. 6. The Continental CrossContact LX20 Eco Plus is an affordable option. They make the list of best tires for SUV drivers due to their superior performance, the ability to reduce noise and their long-term warranty. 7. If you are looking for an excellent yet versatile tire the Cooper Discover A/T3 will be a good fit. These handle well both on the road and off making them perfect for the adventurous driver. 8. 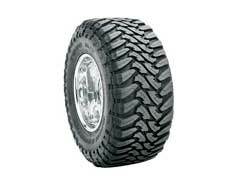 One of the cheaper tires on the list is the Kumho Road Venture SAT KL61. These perform well on slick and dry surfaces and many consumers remark they handle off road conditions just as well. 9. The Goodyear Wrangler MT/R with Kevlar was designed to withstand anything you can throw at it. The Kevlar material means it’s tough and the tread flings dirt, mud and snow off the treads so the tire can perform well regardless of whether you are driving on a paved road or scaling a dirt path. 10. Finally, if you want run flat tires a good model to buy is the Michelin Pilot Sport A/S Plus ZP. These provide excellent traction on slick surfaces and can keep you going even if the tire pressure reaches zero. You can find these at many retailers. Along with them, you can find the best truck tires.